The exhibition catalogue Pop América, 1965–1975, curated and edited by Esther Gabara, E. Blake Byrne Associate Professor of Romance Studies and associate professor of art, art history and visual studies, accompanies the first traveling exhibition to stage Pop art as a hemispheric phenomenon. The richly illustrated catalogue reveals the skill with which Latin American and Latino/a artists adapted familiar languages of mass media, fashion, and advertising to create experimental art in a startling range of mediums. In a new era in hemispheric relations, artists enacted powerful debates over what “America” was and what Pop art could do, offering a radical new view onto the postwar “American way of life” and Pop’s presumed political neutrality. Nine essays grounded in original archival research narrate transnational accounts of how these artists remade América. The authors connect the decisive design of the Chicano/a movement in the United States with the vivid images of the Cuban Revolution and new contributions to the Mexican printmaking tradition. They follow iconic Pop images and tactics as they traveled between New York and São Paulo, Bogotá and Mexico City, San Francisco and La Habana. Pop art emerges in a fully American profile, picturing youthful celebration and painful violence, urban development and rural practices, and pronouncements of freedom made equally by democratic and repressive regimes. The bilingual catalogue reconstitutes a network of artists from the decade, including ASCO, Judith Baca, Eduardo Costa, Antonio Dias, Marcos Dimas, Felipe Ehrenberg, Rupert García, Nicolás García Uriburu, Rubens Gerchman, Edgardo Giménez, Alberto Gironella, José Gómez Fresquet (Frémez), Beatriz González, Gronk, Juan José Gurrola, Emilio Hernández Saavedra, Robert Indiana, Nelson Leirner, Anna Maria Maiolino, Marisol, Raúl Martínez, Cildo Meireles, Marta Minujín, Hélio Oiticica, Dalila Puzzovio, Hugo Rivera Scott, Jorge de la Vega, and Lance Wyman, among others. 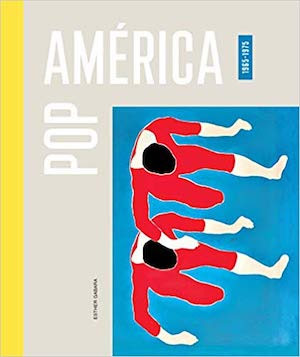 Pop América, 1965–1975 will be on display at the McNay Art Museum in San Antonio, Texas, from October 4, 2018 to January 13, 2019; at the Nasher Museum of Art at Duke University from February 21 to July 21, 2019; and at the Mary and Leigh Block Museum of Art from September 21 to December 8, 2019.